When a vicious attack leaves 25-year-old Clementine Johns with no memory, she's forced to start over. Now she has to figure out who she was and why she made the choices she did - which includes leaving the supposed love of her life, tattoo artist Ed Larsen, only a month before. Ed can hardly believe it when his ex shows up at his tattoo parlor with no memory of their past, asking about the breakup that nearly destroyed him. The last thing he needs is more heartache, but he can't seem to let her go again. Should they walk away for good, or does their love deserve a repeat performance? What would you do if everything about your identity, from the way you walk, to the foods you like to eat, even to the books you love to read, all disappeared? This is what happens to Clementine Johns when she wakes up from brutal assault with no memory of who she was before she woke up. Trying to piece her past together, she finds her ex, a tattoo artist named Ed who was apparently the love of her life but why exactly she broke up with him is a mystery to them both. “You’re staring at my mouth,” he says. 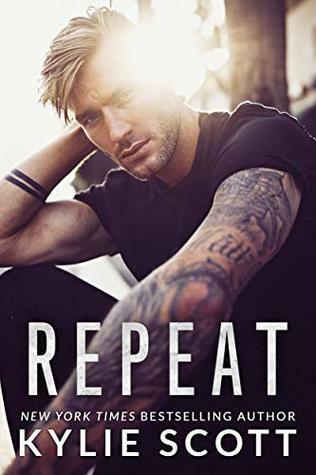 As she begins to learn about her past, she feels the connection to Ed, but her memories are long gone and the only thing she can do is relearn who she was. Little by little, the notable differences between her past and current self surprise the people closest to her, especially her sister and Ed. Leary but still in love with her, Ed and Clem reconnect. But as mysterious and dangerous things begin to occur around Clem, it becomes obvious that the attack was not just random and that the danger is closer than ever. “But you still respect me for my mind, right?” He smiles, my hands linked around his neck while his sit on my hips. “I don’t believe you at all,” he murmurs. This was a really good second chance romance. With mysteries a plenty, I did enjoy the book but I kept feeling like I was missing something. The reason behind Clem and Ed’s break up still felt unresolved to me. And I kept feeling like I wanted more info about Ed. It feels like I’m supposed to be in love with him already but I didn’t know him. I still liked the story but I wanted more. Clem doesn’t regain her memory so some aspects of her life remain a mystery to her and the reader. I did like that she seemed to be more uptight and after amnesia, seem to be a little more free. I loved Leif and Francis and could definitely read more about both. I loved getting to know Clem as she learns about herself for the first time and the dialogue is funny and witty. There’s plenty of laugh out loud moments. All in all, it was a good rom-com.